Catch the short film “Goldfish” if you get a chance to attend a film festival where it’s showing. This little gem of the sea won “Best of the Fest” in the Audience Favorites Live Action 1 category and features the actor, Tim Bagley. It is the fishy tale of a third grade class in which the teacher gives each student a goldfish in a bowl as a class project. She tells her students that they must feed the fish every day and clean their bowl once a week. One little girl, Suzi, asks many questions of the teacher regarding the goldfish and through her deductive reasoning, gets the whole class concerned about the origins of the fishies. She deduces that, as in the movie “Nemo”, the fish have been taken from their parents who live in the ocean. Suzi is convinced that is cruel and that the little fish miss their parents and so should be returned to their “home” in the ocean where their parents can find them as Nemo’s father did in the movie “Finding Nemo”! What follows is a mission of passion played out by Suzi and her best friend. They leave the house on bikes and put their plan into action to save the gold fish from their classroom and return them home to their fish parents in the ocean! What ensues is great comedy amplified by the music selection employed in a timely manner to raise the suspense level - a kind of fishy farce of the movie “The Great Escape” where a girl’s bicycle substitutes for a motorbike and the escape “tunnel” is the drainage system that the bathroom toilet is connected to! It’s hilarious and serious at the same time for fish lovers. As the two little girls are running and sneaking around their elementary school to get the fish in two buckets of water, a rock version of the children’s song which includes the lyrics “and they all went to heaven in a little rowboat!” gets portentously louder as the girls run with the buckets and the school janitor looks on suspiciously. The audience gets a little nervous about whether the fish are really going to get saved. We’re really hoping that somehow this will have a good outcome for the fishies! But, as they say, “It’s funny until somebody gets hurt!”. Please, please, please never flush your fish down the toilet! It's really cruel and unusual punishment and should never ever be done. 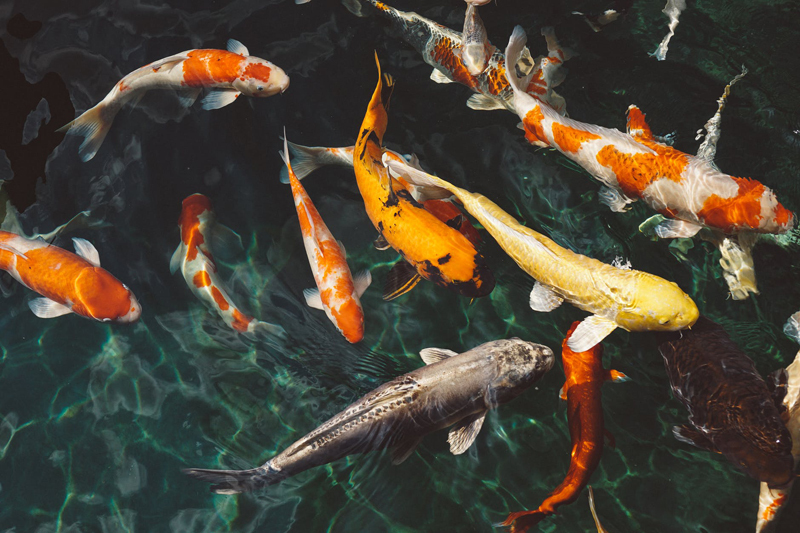 Our family pets deserve that we are well-informed on all aspects of their care and that is why, although difficult to hear - please understand that goldfish (or any other fish, for that matter) should not be flushed down the toilet. This was a good topic to capture on film to make more people aware that what they may innocently think is appropriate is really and completely not. I give the movie 5 bubbles for lending an artistic touch to a too-neglected subject. "[She]stood poised over the toilet bowl, a goldfish in hand, when she was struck by the sorrow in her daughter's eyes at losing her first pet. She pulled back. Mother and daughter then performed an impromptu ceremony in the garden, placing a wildflower on the site and speaking about the loss of a friend."